How did I stumble upon this author? Hmmmm....let me take you back....Once upon a time...my bloggy bff's...aka...The Love Feast gals...blogged about their friend Dani and her new book that was coming out. They talked about how wonderful the book was and that Dani is a Christian fiction author. 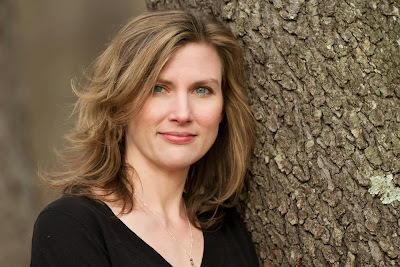 Then I was invited to a author chat through BlogFrog where we virtually got to "meet" Dani. So, I trusted my beautiful friends and bought the first book in the Alaskan Courage series. I held onto that book for quite a while before I finally opened it up. The first one: Submerged got me through a road trip from home to Galena, Ill with my husband. I got about 1/4 way through on the drive there...then...we arrived and we spent our first day roaming the beautiful city. Maybe 3rd store in we happened upon a hot sauce store. James is a hot sauce fanatic. He boldly sampled their ghost pepper salsa...a hefty big bite on a tiny little chip...you know because...it couldn't be THAT hot...right? It was horrible. He was sick. About an hour later we had to call it a day and headed back to the cabin. I would have been pretty upset that he ruined our first full day of kid-free vacation...but I remembered my book! Sure honey....go ahead and sleep the rest of the night....I'll be up in a while. That was early afternoon...by 2:00 AM I finally crawled into bed after finishing the entire book in one day. Could...not...put...it...down! Needless to say, I loved it! Every second. The mystery, the suspense, the love story. The vivid descriptions of this place in Alaska...a state I have never been to...made me feel like I was IN the book! I was so excited to read a book that held my attention until the very end. Then...as I closed the book...it happened again...sadness...it was over. Now what? Well.....to my surprise book 2 was on its way to release! Shattered. I promptly ordered a copy....then I got another copy when I went to Allume in 2012. Where I got to finally meet Dani Pettrey in person! There is something just so awe-inspiring to meet someone who puts those fabulous yummy words all together in a book. You look at them and think...I wonder if she is writing a book in her head right this moment? Dani is extremely beautiful inside and out.So way back to a year ago...I fully intended to "giveaway" that extra copy I had...but it kept disappearing from my bookshelf as more and more friends borrowed the books. If you haven't read many fiction books that are considered "Christian fiction" here are some things that are different. No strong language, no overly descriptive violence, no strong sexual content. However you will still see...romance, danger, suspense. In Dani's series specifically the story line is based around the McKenna family, who are all volunteer search and rescue members. Their skills range from cave diving, deep sea rescue missions, rock climbing, mountain chases..and more! You also get the added bonus of reading about stories of redemption, hope, love, renewal, and God's faithfulness. Dani's series is no doubt a great series to read...however you can also read each book as a stand alone. Alright....now...to reveal what I am really excited about....I am giving one of my readers....their very own copy of the first 3 books! You will receive Submerged, Shattered, AND Stranded....which I haven't even read yet myself! I am saving it for my traveling time to the Allume conference in just 12 days! So...contest starts...NOW and ends Sunday October 13th at 5:00 PM Central time. Prize to be mailed out by Monday! ***To enter the contest you must submit a comment on this blog post. There is only one entry per person. I will use Random.org to choose the winner on Sunday evening. 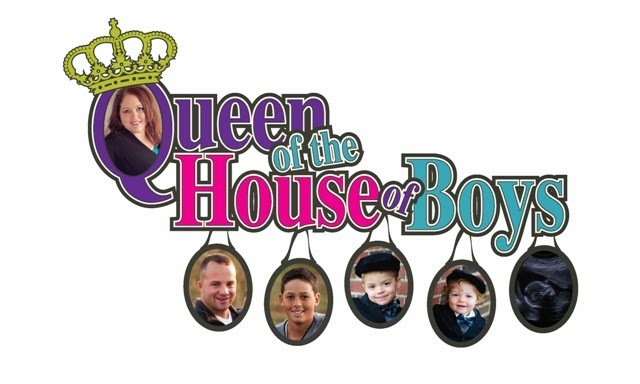 Once announced the winner will have 24 hours to send me their mailing information...which can be emailed to queenofthehouseofboys@gmail.com. You have me intrigued - I am going to have to check these books out!! It's been awhile since I've read a good fiction book. I need a good book to dive into this fall! Sounds like a great series. Thanks for the opportunity. LOVE LOVE LOVE reading!!!! Thanks for the giveaway! Random.org chose #8! You are the winner! Congratulations!!! Thanks so much, Janelle. It was a joy meeting you. Hope you have a great time at Allume! Really hope to be there next year. I have an ARC of one of these, but would love to have all 3 to read in order! I have wanting to read these. Thanks for the chance. I have loved reading these books. I've read books 1 and 3 and really enjoy them! Thanks so much for the giveaway! I loved the first two books and am eagerly waiting for the new book to read! I've read all three (don't own any of them), would love to have the full collection. I'm anxiously awaiting the release of 4 and 5. I'm loving that you fell so hard for these! She is a great author! I cannot wait for book 4 and 5! I love reading Christian fiction! And have heard many good things about Dani. Thanks for the giveaway!